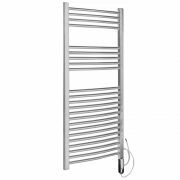 The Kudox 1000mm x 500mm thermostatic electric heated towel rail will keep your towels luxuriously warm without the use of your central heating system. 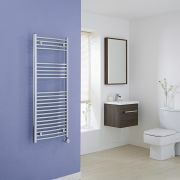 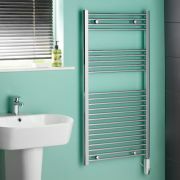 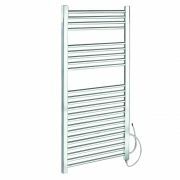 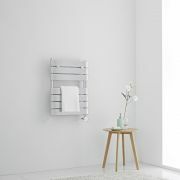 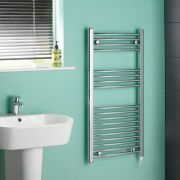 Combining stylish looks with superb functionality, this electric heated towel rail uses a 150 Watt thermostatic element, which allows you to easily control the heat output. 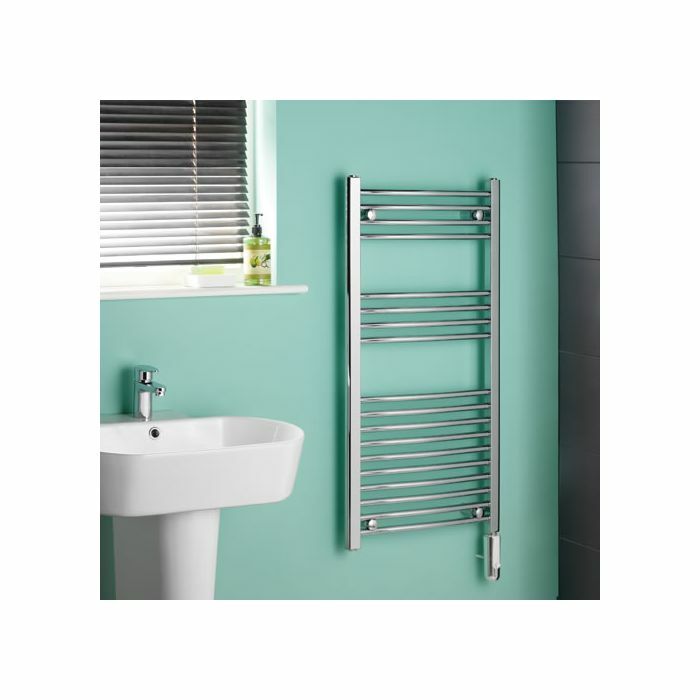 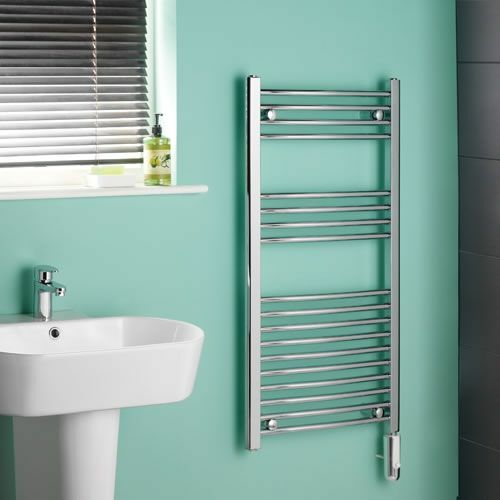 Made from premium quality steel to ensure great durability, this heated towel rail features a hard-wearing chrome finish that blends in easily with any décor. 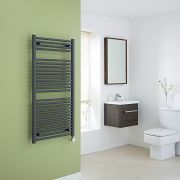 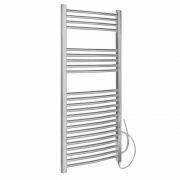 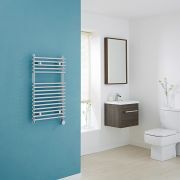 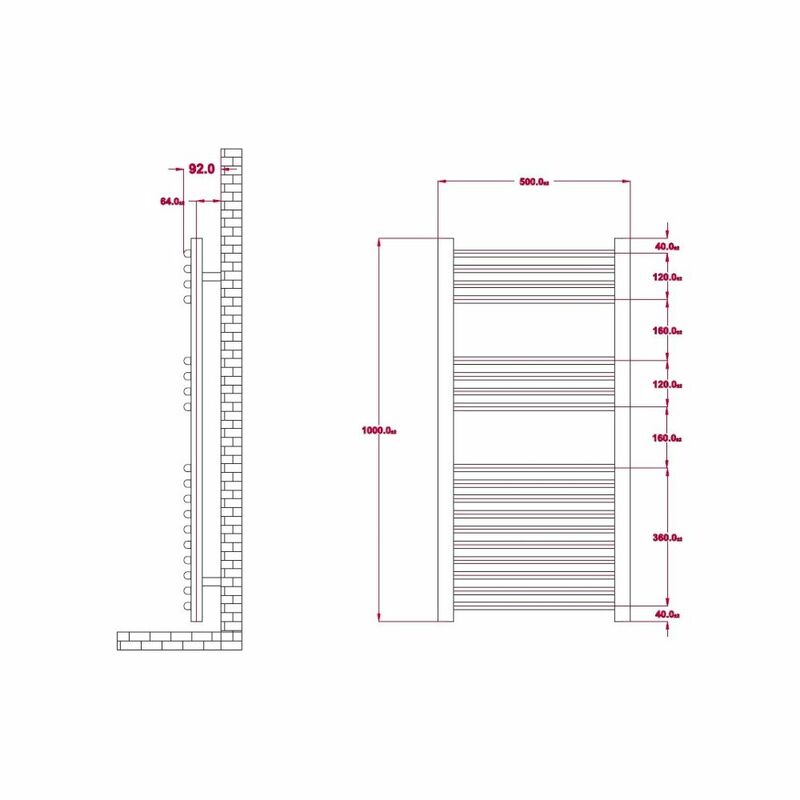 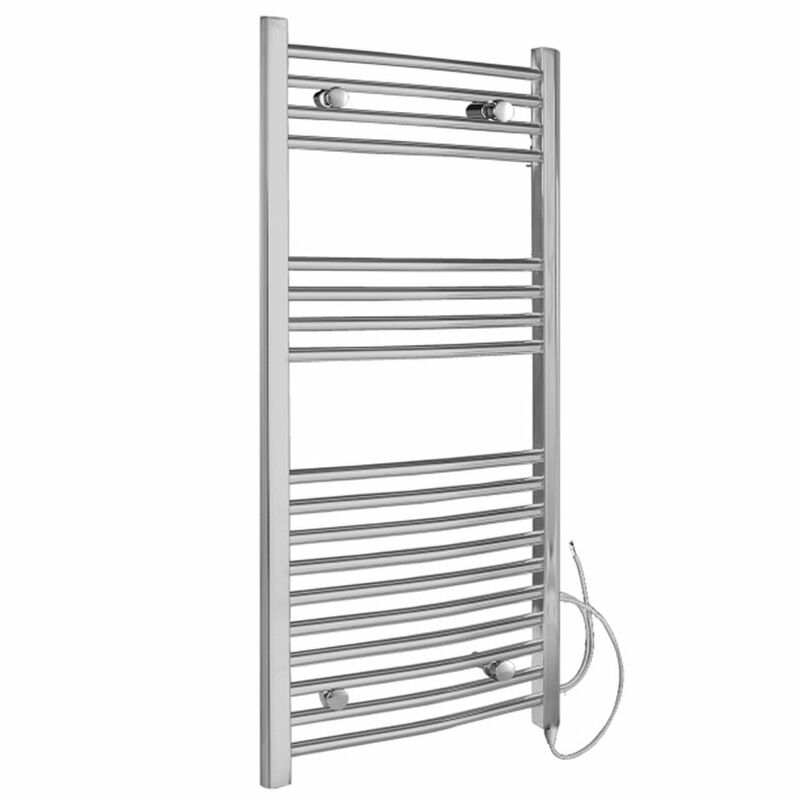 It has 18 horizontal bars (19mm diameter) and is pre-filled with water, anti-freeze and anti-corrosion chemicals, giving you a high performing heated towel rail.